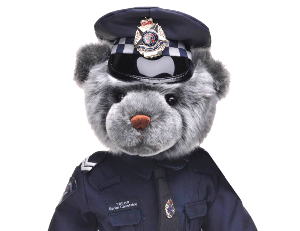 The North East Branch of the Victoria Police Blue Ribbon Foundation is well supported by the local community and their team of volunteers. Through the determination and hard work of the local Branch they have now developed memorials for all the Police Officers who died in the line of duty within the region. In 2017, the North East Branch with support from the local communities donated $51,000 to a Patient Rehabilitation Gymnasium at North East Health, Wangaratta. This new facility will assist in the physical rehabilitation of patients across a range of conditions and to also provide ongoing out-patient care after they have left hospital. The facility was named in honour of Senior Constable Kerr who had served in the local area for more than 20 years, he was highly respected and a good friend to many.